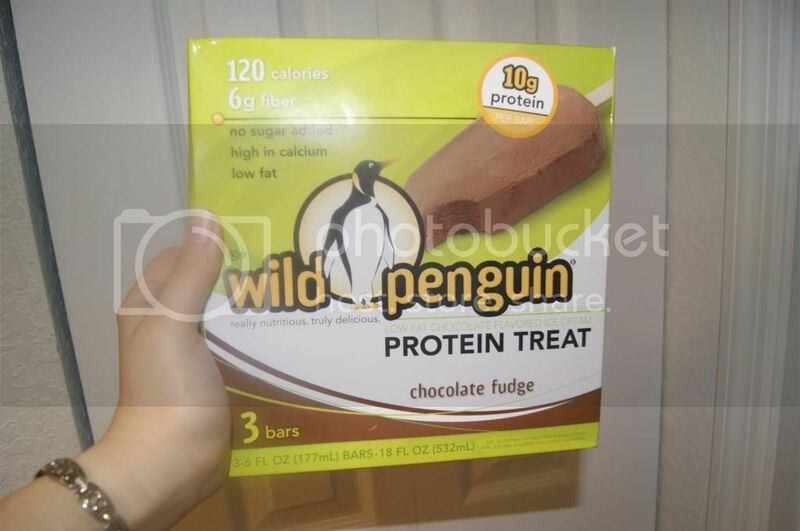 Andrea's World Reviews: Wild Penguin Treats Review and GIVEAWAY! As most of you know, I started toward a goal of losing wight back in mid January. I have since found many products that have helped me, and I am still going strong. I love to not only find products that help me stay(or get) healthy and slim, but I really love to share these marvelous things with all of you. If I can help anyone's journey be even a little easier, I will feel so proud. Losing weight is not easy, and I know that first hand, so anything that does make it a little easier to achieve or to handle is a wonderful asset. I just so happened to have discovered a product that is really incredible and that makes dieting(living healthier) an whole lot easier(and more delicious). 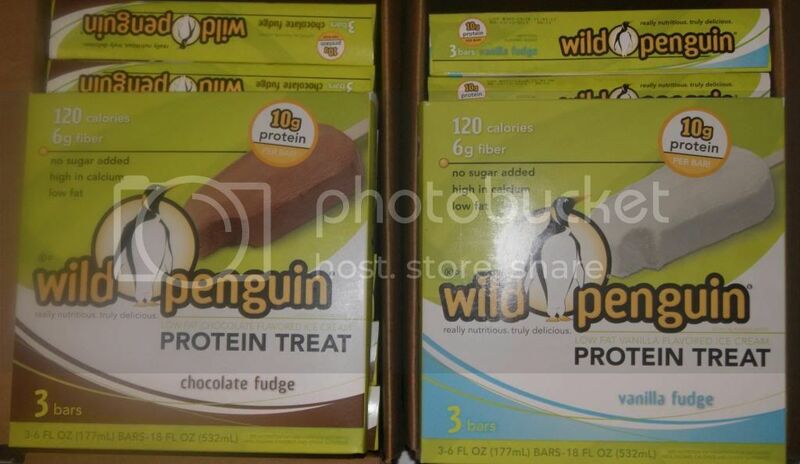 Wild Penguin Treats are a revolutionary new indulgence. All the best of a delicious dessert, a diet friendly food and a protein bar, all in one. The amazing bars have 10g of protein each, as well as 6g Fiber, only 120 calories and 3g of fat. There is also no sugar added, which is so awesome. On the diet plan I am on, they have desserts, and none of them are only 3g of fat(They start at 4g and up. Some have like 8g) and 120 Calories(They all have at least 150 calories), plus they are not as high in protein. It really says something that these are better for you than the food on an actual diet program. And guess what, they taste just as good if not BETTER than those diet plan desserts, and are even a bigger portion size. A 6oz portion is quite large for something like this to be so low in calories. What I really love is that they come in two flavors, so not only is there something for everyone, but you won't get bored by eating the same kind all the time(though as good as these are, that is not likely anyway). This is likely to be the favorite for a majority of dieters since chocolate is one indulgence that is very hard to give up. Anything chocolate and diet is usually a big deal, but this tastes so non diet that is is actually hard to believe it. It is such a delicious, decadent treat. 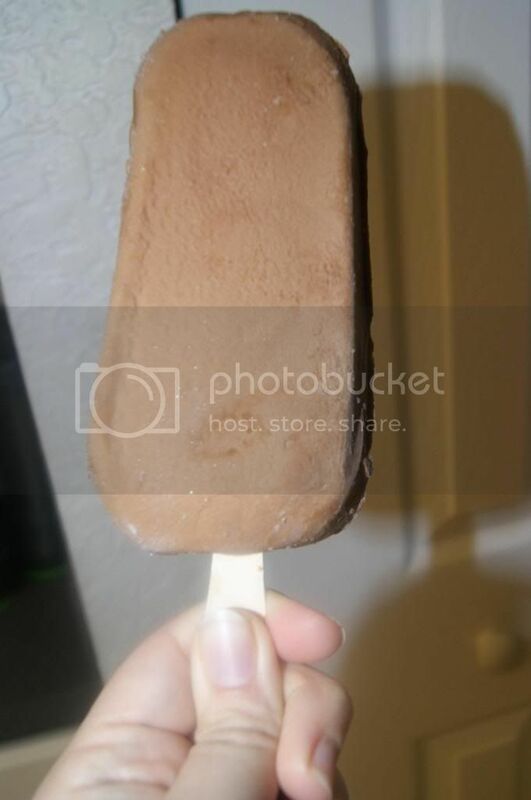 If you like Fudge Popsicles, than you will love this. It's very similar, only healthy, bigger and more filling. They are superb. 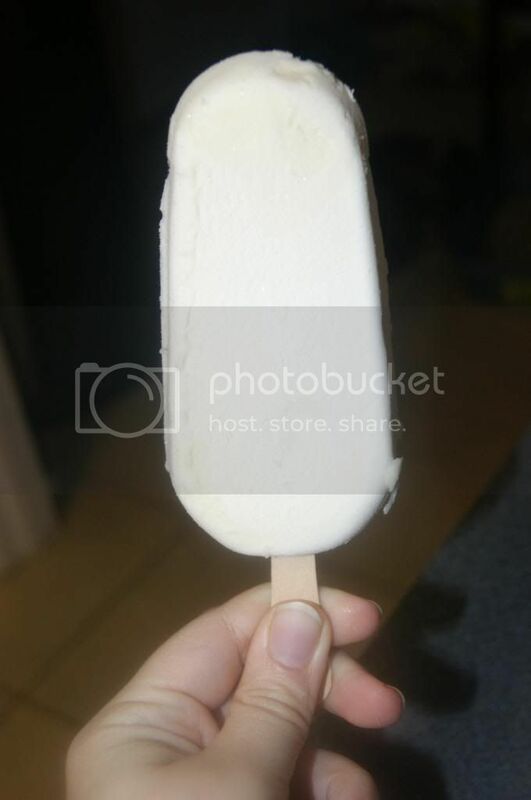 This is the most unbelievable creamy vanilla bar. It is so rich and delicious. It is so guilty tasting, you will never think that, "this is great for diet". It will be, "This bar is INCREDIBLE!" I am so blown away by the quality of the flavor, and especially the texture. Texture is VITAL when it comes to ice cream and frozen treats. This is so smooth and creamy. I expected it to have a semblance to Icy crystals, but not even a hint. I could eat these all day, but they are so filling, I don't need to. The real miracle is not only did my wonderful son(who is autistic and terrified to try new things) try it, he actually asked me for it. Most times, I beg him(and even try to order him) for half an hour and he gets worked up into hysterics and almost literally gets sick. He did not finish it, because he was making a huge mess, but he has since asked for more. I am beyond thrilled. That alone would make me a loyal customer. And I love that these are actually good for him. 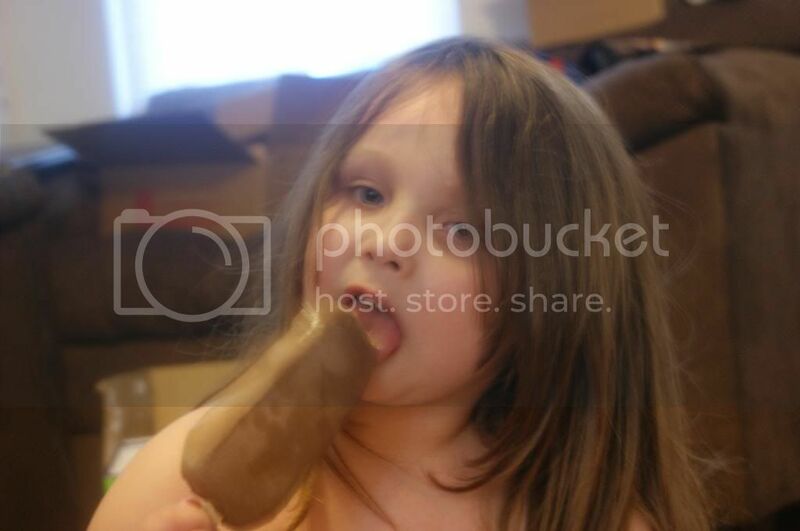 Of course my daughter loves these as well, but I cannot let her hold one herself without a (more) huge mess, so I was not able to get a picture of her digging in. I feel so good knowing my kids can have a treat that they truly enjoy that is not only not terrible for them, but it is actually good. And I certainly love being able to eat these as a dessert or even a great snack since they are so low in calories. These are perfect for the long stretch between lunch and dinner. I used to sometimes eat a protein bar during this time, and the bar had 280 calories and 9g of fat. 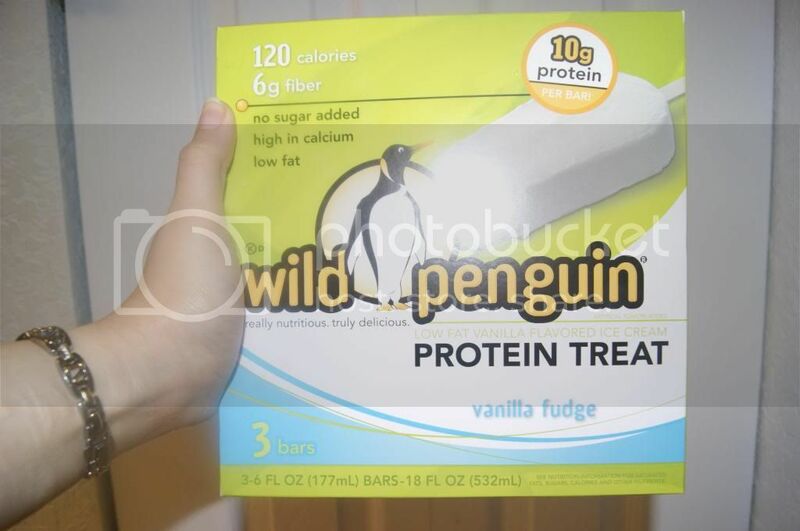 It did have 20g of protein, but I could still have had 2 Wild Penguin treats and it would have been 20g protein but only 6g fat and 240 calories. When you really look at the numbers, it is crazy to think how fantastic these treats are. If you have never tried them, you are seriously missing out. Since I hate the thought of you missing out on the magnificence that is Wild Penguin Treat, I am giving you all the chance to win some. One lucky winner will receive 4(3 count) boxes of each flavor-8 total boxes! All you have to do is enter below. Good luck. I love that they are diet friendly. I think I would like the Vanilla best. I love that they are packed with protein. I don't eat meat, so I'm always looking for extra ways to get protein in my diet and would love to try the chocolate fudge. Its protein and chocolate!! I would love this for my diet! I'd like to try the Chocolate Fudge! I love that not only are they diet friendly, but the taste is comparable to a Fudgesickle. I would like to try the vanilla. Vanilla looks great- i love that its high protein but like a dessert! Chocolate Fudge would probably be my favorite...but I bet they are all delicious!